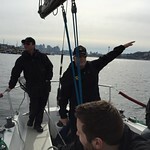 We had a great sail with several of the “Ride the Ducks” captains. 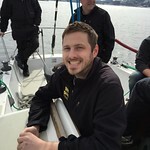 It was a sunny day and the wind was 0-8 knots. Most of them had a chance to pilot the boat, which was a new experience for them. 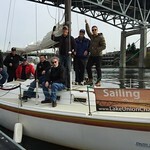 We look forward to seeing all of them on Lake Union this summer!